It has been a very busy first half of the year. We started the year by aligning our strategy for all managers throughout our company. 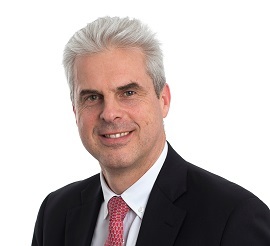 Results will become very clear in the coming year as we focus on a series of exciting new solutions that will become part of our overall offering. At the same time, we have officially opened our Lights Centre of Excellence in Brussels, the biggest airfield ground lighting (AGL) factory in the world. 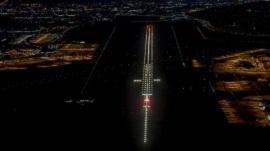 This will, no doubt, have a substantial impact on our AGL presence going forward.Of course, we remain the provider of end to end integration where we integrate our key solutions in the areas of airfield ground lighting, the apron, the tower and services into a seemless end to end offer.Have a look at the stories we have put together for you. Enjoy reading and please share your feedback with us via marketing@adbsafegate.com. EMERGING MARKET. India’s aviation sector has a lot going for it – favourable demographics, a rising middle class population, high disposable incomes, and rapid economic growth. AMA Private Limited is ADB SAFEGATE’s exclusive partner and distributor in India. Having worked with IDMAN (now part of the ADB SAFEGATE group) since the 1980s, it is a partnership that spans more than 40 years. AMA has a long and successful history in airfield lighting. Today, with 300 employees including engineers and technicians, AMA supports ADB SAFEGATE customers for AGL and A-VDGS installations and Level 1 and Level 2 after-sales maintenance for airports all over India. ARTICLE. Perth Airport is a major transit hub that operates 24/7. It is one of the most isolated international airports in the world. In the past, low visibility conditions have led to aircraft diversions. The nearest alternative airports are a minimum of two flying hours away. Airline diversion cost including fuel, transport and accommodation could reach over half a million dollars per diversion. The solution was to upgrade Perth´s main runway from CAT-I to CAT-III rating. VIDEO. 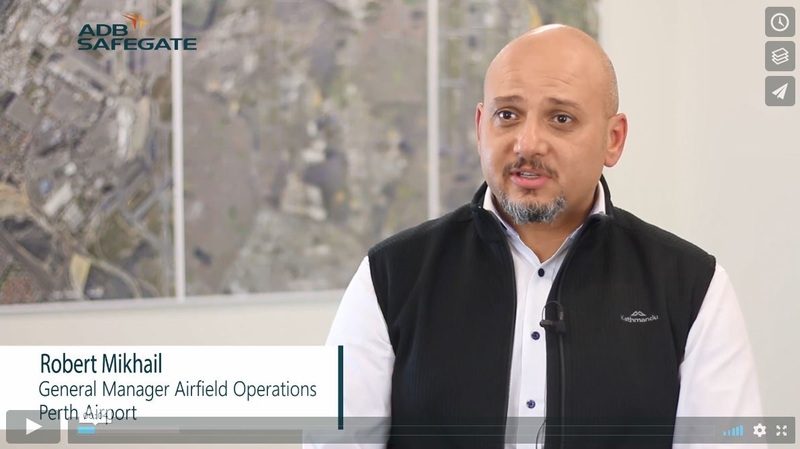 Watch the video where Robert Mikhail, General Manager Airfield Operations Perth Airport, Australia – is interviewed by ADB SAFEGATE about the CAT-III upgrade project delivered over the course of two years. Aircraft can now land in low visibility conditions, to a distance of 50m down from 800m. The upgrade enables direct flights from the UK – A first for Australia. A significant reduction of diversions is expected. Passengers, the airport, airlines and the environment all benefit. INTERVIEW. End-to-end solutions to support airport operations, congestion and environmental performance are vital to address the ongoing challenges faced by airports globally. Our CEO Christian Onselaere was recently interviewed by the CEO Magazine on his career, on ADB SAFEGATE and how our company is expanding into the software business. UPCOMING EVENT. 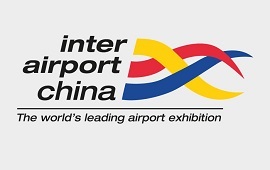 This September, ADB SAFEGATE will showcase its integration solutions at inter airport China. Discover the latest solutions with regards to our airfield ground lighting, our apron and our tower solutions. Be sure to visit our stand on September 6 for a special workshop that will explain how Chinese airports can create more efficiency with less investment. Want to know more about our presence? Follow us on social media, via www.adbsafegate.com or contact marketing@adbsafegate.com.